If you have any questions about the HSMY information page below please contact us. The motor yacht HSMY is a 35 metre 114 (foot) good sized composite superyacht which was completely constructed by Terranova Yachts and devised by Barracuda Yacht Design. The good sized full displacement yacht HSMY is a particularly well designed Italian built superyacht which was launched to praise in 2008. 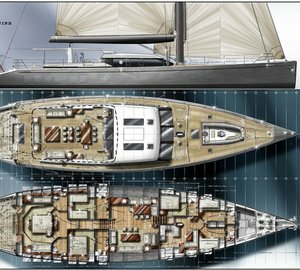 The firm of naval architecture whom authored the plans and general arrangement for this ship is Barracuda Yacht Design. Moreover, her interior design is sucessful creation of Barracuda Yacht Design. She could be described as a recent full displacement yacht. 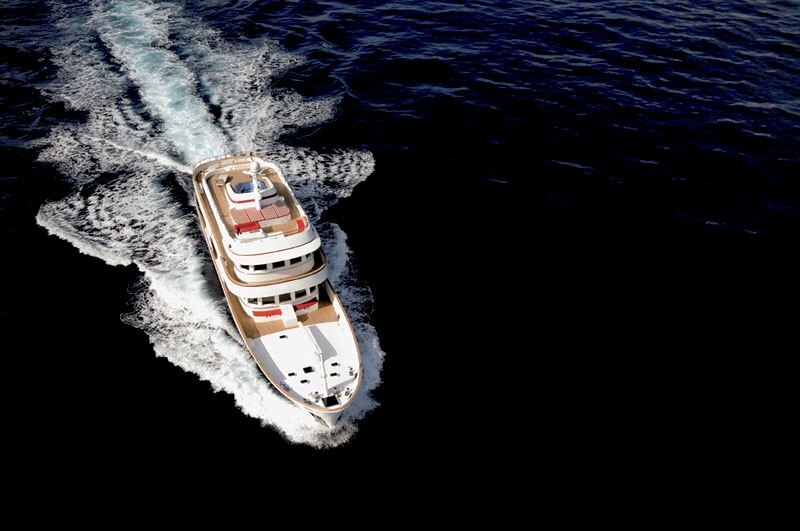 Barracuda Yacht Design was the naval architecture company involved in the professional nautical design work for HSMY. Her interior design was completed by Barracuda Yacht Design. Barracuda Yacht Design is also associated with the yacht wider design collaboration for this yacht. 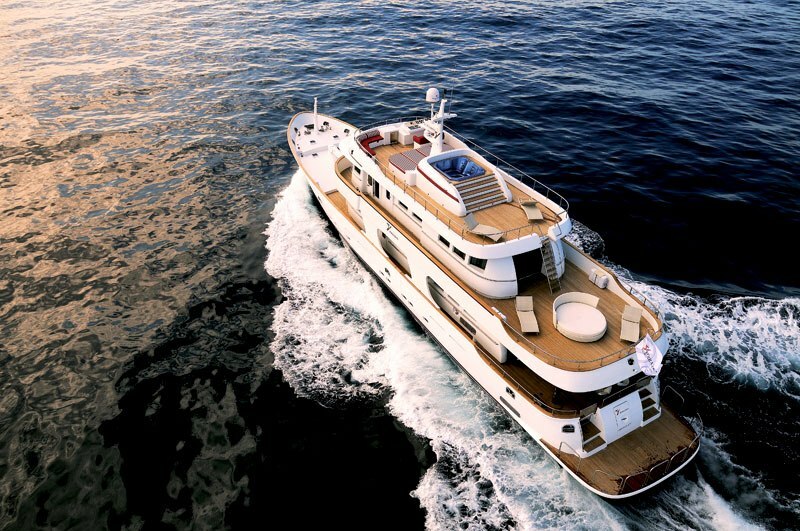 Created at Terranova Yachts this yacht was constructed in Italy. 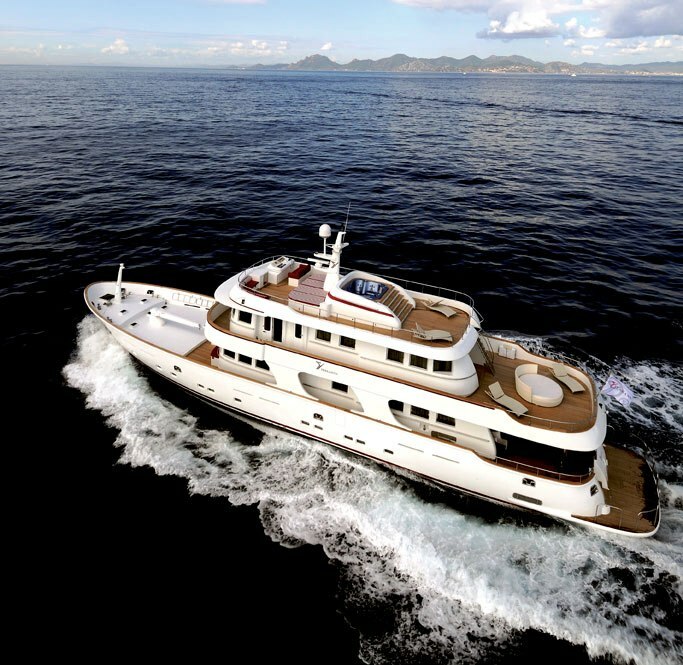 She was officially launched in Lavagna in 2008 before being handed over to the owner. A moderate area is brought about with a maximum beam (width) of 7.2 metres or 23.62 ft. With a 1.8m (5.91ft) draught (maximum depth) she is reasonably shallow. The material composite was used in the building of the hull of the motor yacht. Her superstructure over the hull is built from composite. Powered by two MAN diesel engines, HSMY can reach a top speed of 16 knots. Her propulsion units are twin screw propellers. Her total HP is 1800 HP and her total Kilowatts are 1343. 35 metres / 114 feet. Main Engine(s) is two 900 HP or 671 kW MAN. Giving the combined power of 1800 HP /1343 KW. 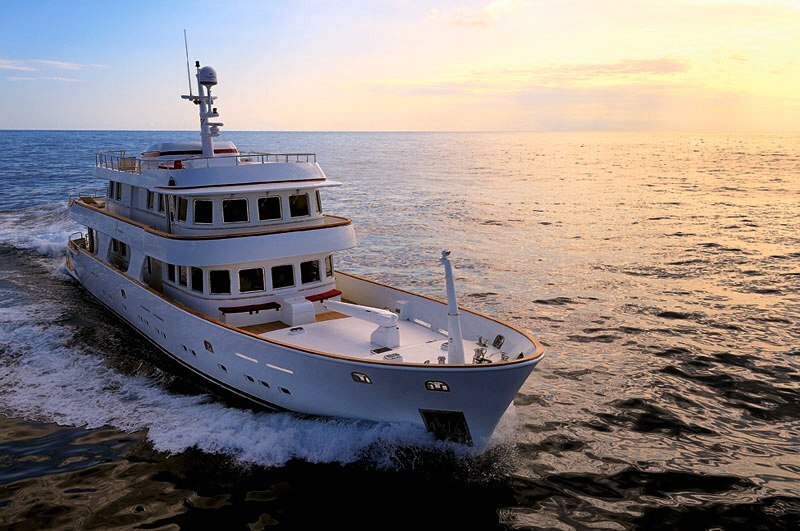 The luxury yacht HSMY displayed on this page is merely informational and she is not necessarily available for yacht charter or for sale, nor is she represented or marketed in anyway by CharterWorld. This web page and the superyacht information contained herein is not contractual. All yacht specifications and informations are displayed in good faith but CharterWorld does not warrant or assume any legal liability or responsibility for the current accuracy, completeness, validity, or usefulness of any superyacht information and/or images displayed. All boat information is subject to change without prior notice and may not be current.